Frank's roles have gone from embedded and distributed software development and Unix systems administration, to Internet-based development and technical design, to technical consulting and advice to businesses. Co-founding the user group HPCC eventually led to his first job at Zengrange, writing embedded and mobile systems, and creating tools for other developers. He finished his time with Zengrange by working at HP's calculator development labs in Oregon to develop the cross-over product for their next-generation top-end scientific calculator, the HP-48SX. 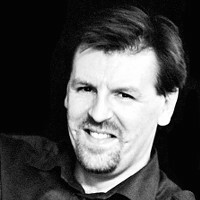 Throughout his career, Frank has also generally been responsible for the organisation and running of business-critical computer systems, usually involving Unix and TCP/IP networks. His experience in providing advice and support in distributed computing and network management was recognised by Hewlett-Packard's professional services organisation, with whose major clients he consulted regarding their business-critical operations. He was co-founder of Limitless, one of Britain's longest-established Internet businesses, and its managing director from 1995 to 1999. His honours degree is based on both the formal education in computer science he got after programming for years for fun while studying medicine, and his more recent studies on molecular biology and graph theory. He spoke at NetWorld+Interop in 1996 on Internet service provider business strategies. He has given Internet-related interviews to BBC radio and television. He is named as co-inventor on the patent for an Internet-based distributed communications system. Frank takes the time consider the bigger picture behind software development and consulting through his regular participation in the Psychology of Programming Interest Group, and contributes the light-hearted Doddery fodder column to the group's newsletter. 1994: Frank was invited to speak, and chair a session, at a NATO advanced research workshop on software development environments; his wishlist for software development environments is published in the workshop proceedings: User-Centered Requirements for Software Engineering Environments , Springer-Verlag, 1994 ( Amazon. Responsible for a number of development teams. Online systems design and development, technical and business consulting. Managing director, involved in new business generation, client liaison, proposal writing, sales. Main client-facing roles were technical and strategic consulting, back-end software design and development, implementation of web sites and related services. Helped specify and operate Limitless's web hosting environment and Internet connectivity. Specified and built several internal and back-office systems. Software development and systems administration consultant and developer. Responsible for specifying, procuring and maintaining internal computer systems and networking. jointly responsible for the company's computer infrastructure.